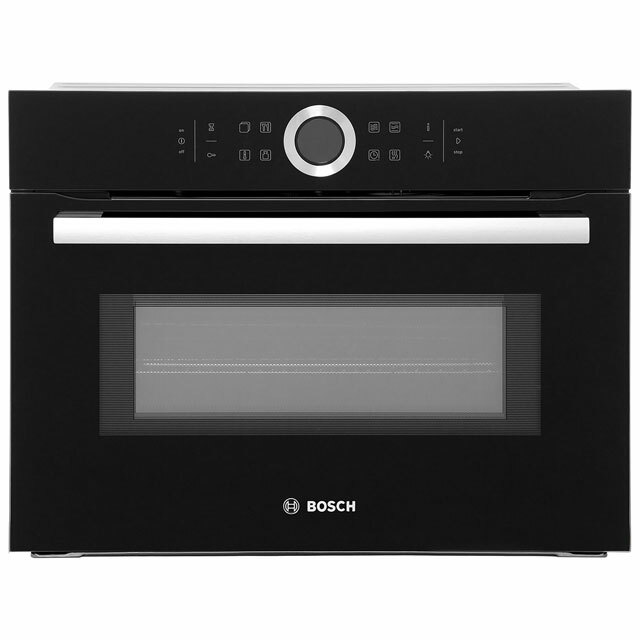 Try out new recipes and perfect your favourites with this black Bosch built-in electric single oven. As it’s multifunctional you’ll have plenty of ways to get creative, whether you’re using the bottom heating element for a traditional casserole, or the fanned grilling option to give chicken a crispy finish. It has a 71 litre capacity too, so it’s ideal if you like to entertain. And, if you’re making lots at once, the 4D Hot Air system uses a rotating fan to circulate air, so dishes cook evenly on every shelf. There’s also a pyrolytic cleaning function that turns food residue to ash which can be wiped away, meaning it’s easy to keep it spotless. This appliance is designed to fit at eye level or under a worktop. 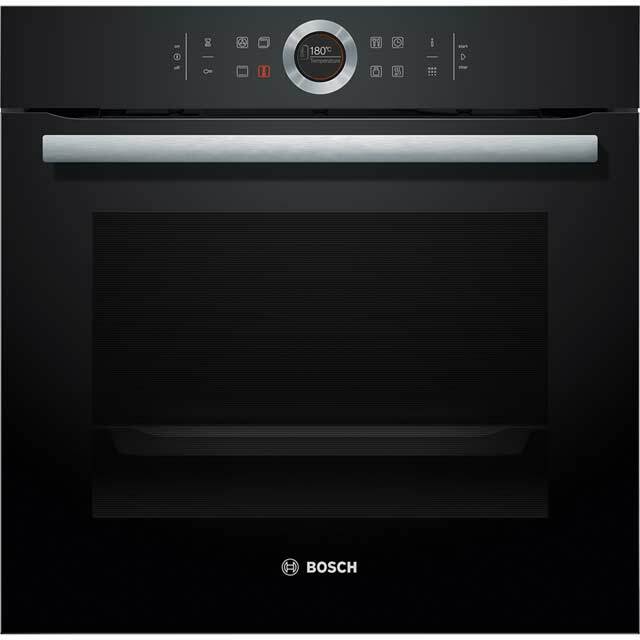 I spent a long time deciding which oven to have and I decided on Bosch. I was not sorry. It looks so sleek (if that’s a word I can use for an oven) and classy. After an afternoon reading the instructions it was easy to use. The touch controls are simple to use. The rotary control took me a few minutes to get to grips with it but it’s so easy now. The performance of this oven is also fabulous. Food cooks evenly whether using one shelf or two. This oven looks so good in my kitchen and I know I made the right decision. I absolutely love it!! 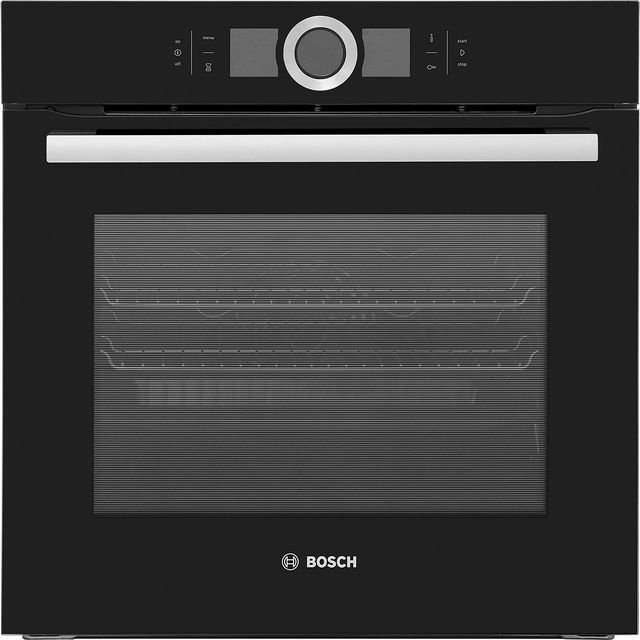 We upgraded our older Bosch oven to this one and it works exactly as expected. 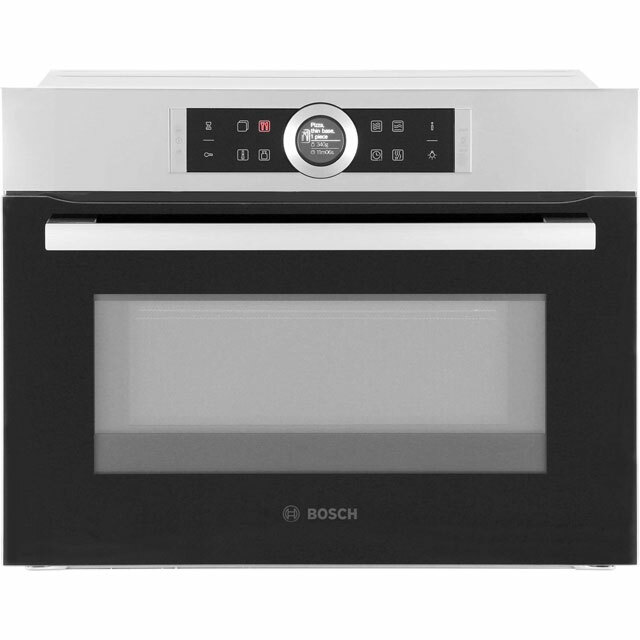 This oven is sleek and stylish and looks great in our kitchen. It is well made and you can see that it has excellent quality. The oven cooks food very well and it tastes great. We are very impressed with this oven. We like the fact that it is multi function, however there are SO many functions that we will probably never use all of them, much like all of today's technology. We definitely recommend this oven. High tech and cooks too!!!!! Very snazzy looking, some good instant shortcuts, but a little long winded for other programs, the dial not very responsive, and don’t like having to press “start” each time. But results have been good the 4D hot air was great when baking cakes, very even baking. Like the slow cooker function too. 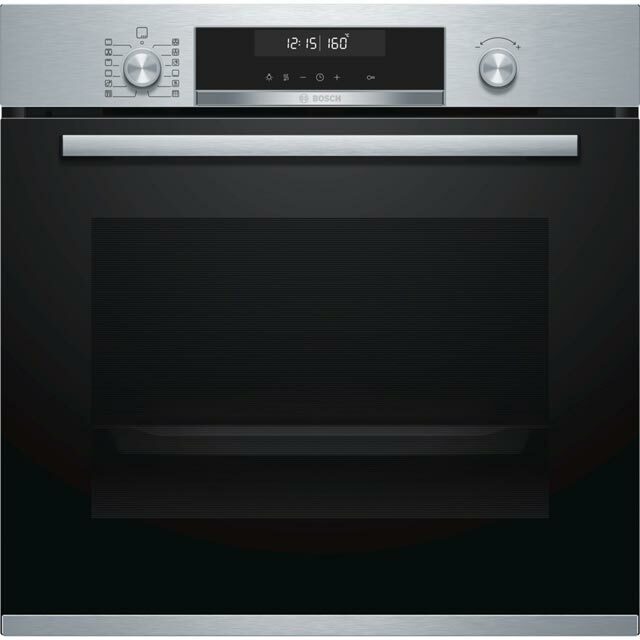 Great Oven, Looks sharp in the kitchen. Built quality is excellent. Good value for money.